Slavic and Western European culinary traditions created ethnic Polish cuisine. 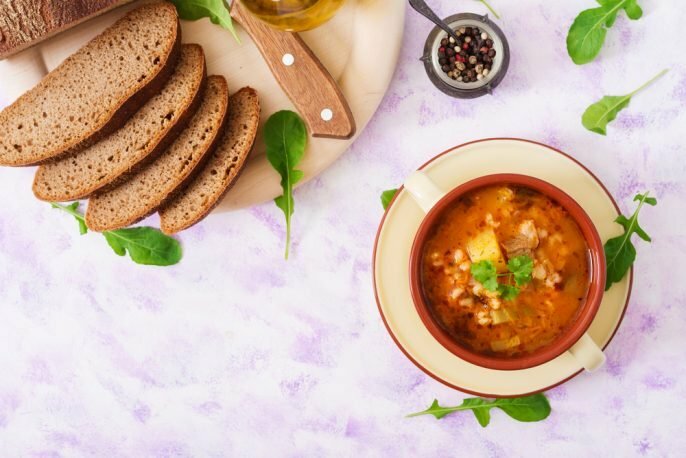 Noting the Influence on similar dishes, culinary experts have easily discerned the presence of some traditional elements of Russian, German, Ukrainian, Turkish, Italian, Lithuanian, and Belarusian cuisines in Polish food. The main differences in Polish food are specific for various types of dishes. National cooks have a special ability to prepare a tasty dish using a minimum of additional seasonings. Poles are a hospitable people and this quality is a definite confirmation of Slavic roots. Makowiec – Sweet cake, with raisins and walnuts. Racuchy – Small pancakes often stuffed with apples and served with powdered sugar. Prince Polo – Polish chocolate bar. The Polish people also have a great affinity to fish dishes. Fish dishes in Poland are usually served with eel, sturgeon, carp, sea red fish, perch. There are plenty of different cooking methods– stewing, frying, poaching – the steam cooking which is supplemented with filling ingredients. Fish dishes are usually served with garnish. The chefs in restaurants of Poland offer traditional fish dishes with French fries and traditional varenikis. Healthy drinks (0% alcohol) of natural production – currant juice (kranny, black), rye kvass, kissel – enjoy wide popularity among people of Poland. There is a special category of typical drinks that include alcohol – vodka: previously passed grass infusion the main food of a bison, filtered by gold particles. A wide range of local beer prepared according to traditional recipes. Collection of wines with honey, fruit liqueurs, liqueurs.